A water main break made a mess of traffic in northwest Washington Tuesday. 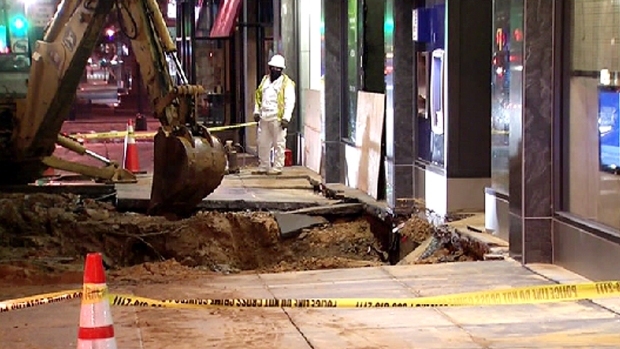 The break happened just after midnight in the 1200 block of Connecticut Avenue NW and carried debris and mud onto the roadway. Crews worked for nearly 12 hours to repair the 12-inch water main, which was installed back in 1949. 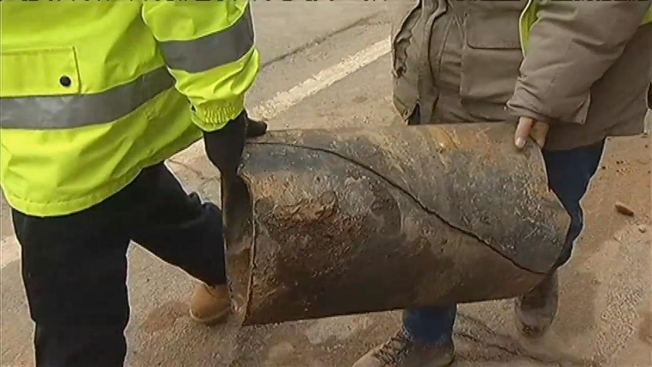 D.C. Water told News4's Chris Gordon the average age of pipes in the city is 77 years. A water main break is still making a mess of a busy northwest Washington road. Several streets were closed as crews completed the repairs. All three southbound lanes of Connecticut were closed until one lane reopened mid-morning. Officials are trying to determine if 18th Street is stable in the area. Three commercial buildings --1224, 1228 and 1250 Connecticut Avenue -- suffered some flooding; a fourth building was without water, D.C. Water said. A man who works at 1250 Connecticut said this is the second time in a year that the building was closed because of a broken water main. Bertucci's Italian restaurant was closed for lunch because there was no water.